Shopping at farmers markets is one way to get delicious and fresh produce you can enjoy at home. 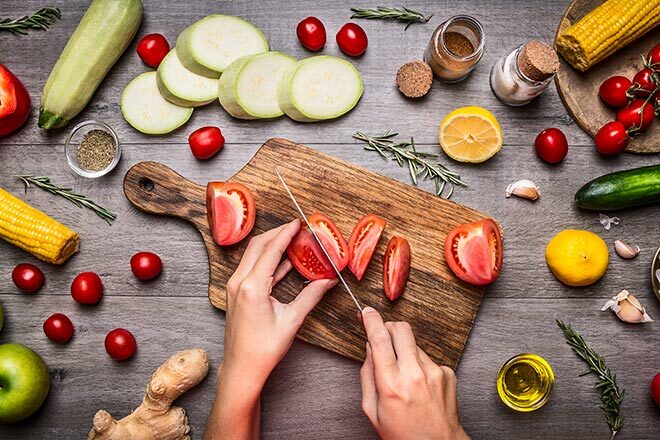 "Getting plenty of fruits and vegetables helps families live healthier lives and reduces the likelihood of chronic disease," said Elaine Auld, CEO of the Society for Public Health Education (SOPHE). "Lack of nutritious foods puts people at high risk for diabetes, cardiovascular disease, and obesity." Not everyone may be familiar with shopping at farmers markets. Auld offered the following tips to help people make the most of bringing the best of the farm to their family. Know the season. Knowing what you may find at the market, before you go, can help you shop efficiently and cost-effectively. Specific fruits and vegetables available in your community will vary based on the seasons and weather. Plan your meals but leave room for spontaneous purchases. Plan your meals in advance but, leave some room to improvise or adapt recipes. Farmers markets can expose you to new hybrids of traditional vegetables, such as broccolini, which is a combination of broccoli and kale. Talk to the vendors and ask them how to prepare something that you may have never tried before. Shop to save. To save money, buy in bulk or late in the day. Vendors may be more willing to make you a deal. Sometimes bulk purchases are discounted. Some vegetables can be frozen for later use. Many farmers markets also accept electronic benefit transfer (EBT) or Supplemental Nutrition Assistance Program (SNAP) purchases. Bring your own bags. Nylon or cloth bags can help ensure your purchase makes it home safely. A backpack can help if you have a long distance to travel. Get used to handling fresh produce. Always wash all fruits and vegetables before eating. It may take time to learn how to handle freshly harvested produce, but the superior flavors are worth it. Ask how to best store your purchases to maximize freshness and flavor. To help promote healthy eating, SOPHE partnered in a three-year national project, Partnering4Health. There are Partnering4Health projects in 97 communities across the country assisting people and communities to live healthier. A third of the projects are supported through the National WIC Association (NWA). The American Heart Association, the American Planning Association and the Directors of Health Promotion & Education, are also involved. USDA provides federal grants to states for WIC. These programs provide breastfeeding support, supplemental foods, health care referrals, and nutrition education for low-income pregnant and postpartum women, and to infants and children up to age five who are at nutritional risk. Here are a few examples of WIC programs that are working in their communities to help women and families access nutritious food. The area WIC program in Durango, Colorado, was able to work with community partners to offer a free farmers stand in low-income communities offering fruits and vegetables. They've served 500 people and given away an estimated 3,000 pounds of food. Getting fresh fruits and vegetables is a challenge in Angelina County in East Texas. Organizers with WIC set up a network to distribute fresh produce to three area food banks serving 16,000 people. In Marion, Virginia, WIC organizers working with the H.A.N.D.S. Healthy Corner Store initiative increased availability of fresh produce and healthy snack options in rural convenience stores. They also worked with farmers market managers to increase awareness of fresh, locally grown produce.